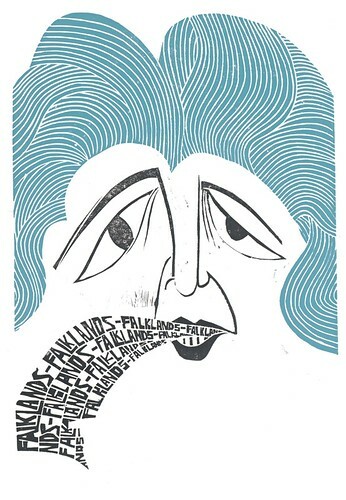 Read the full text of Fraser Muggeridge’s review ‘Freestyling text and image’ in Eye 88. 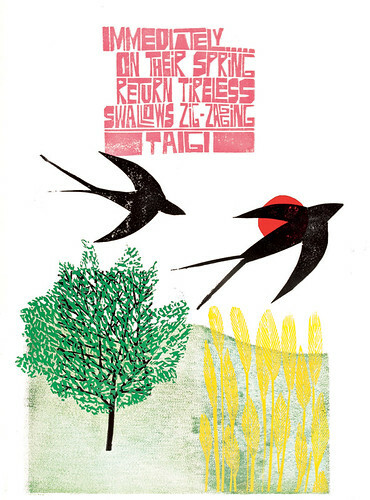 Paul Peter Piech, Haiku, Taigi, ca. 1990. From the Department of Typography & Graphic Communication, University of Reading. 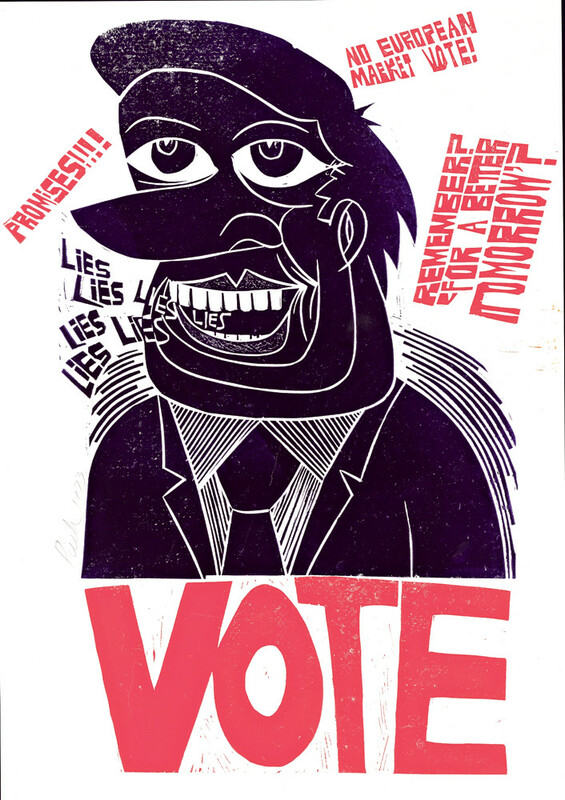 Top: Vote (Lies, Lies, Lies), 1973. From the Victoria and Albert Museum, London. Falklands Falklands Falklands, 1984. From the Victoria and Albert Museum, London. 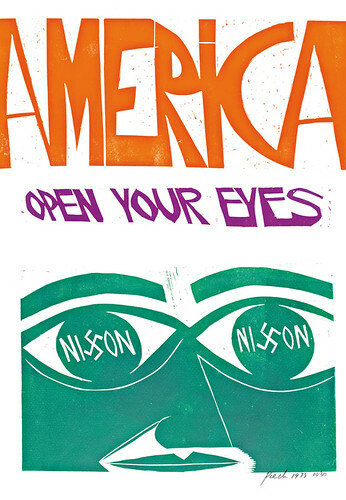 America, open your eyes, 1973. From the Victoria and Albert Museum, London. 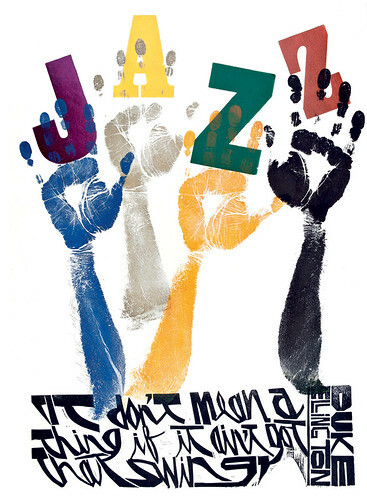 It Don’t Mean a Thing if it Ain’t Got That Swing, 1995. From the Department of Typography & Graphic Communication, University of Reading. 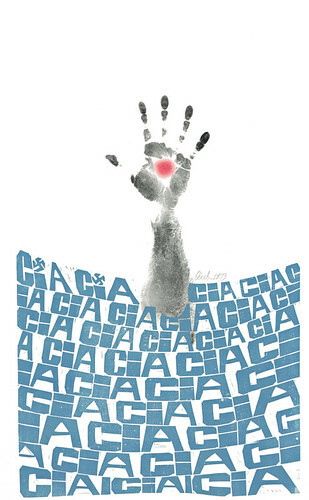 CIA, CIA, CIA, 1963. From the Victoria and Albert Museum, London. 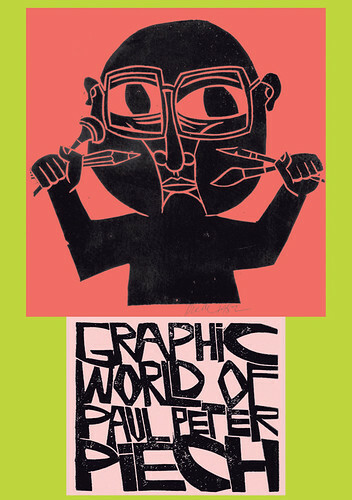 Cover of The Graphic World of Paul Peter Piech, by Zoe Whitley, showing a self portrait of Piech (Four Corners Books in association with V&A Publishing). From the Department of Typography & Graphic Communication, University of Reading.